Do you know the cost to your business from presenteeism, absenteeism or talent attrition through poor physical and mental health? A happy, healthy workforce is a productive workforce. SkyRocket Wellness is passionate about improving the wellbeing, and optimising the performance of, people in the workplace. We work with you to consult, mentor and assist in the implementation of your in-house wellbeing strategy, whether starting from scratch or integrating into existing policies. SkyRocket Wellness will help you build the link between workforce health and business results. 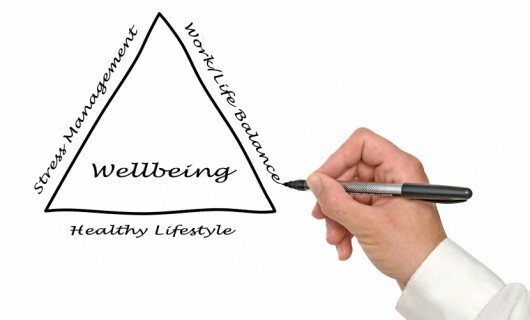 Health and wellbeing interventions are often approached in isolation, or are ad hoc; consequently, their impact on both the individual and the organisation is limited. We’ll work with you to help your organisation gain a fuller understanding of all the different facets of what actually constitutes workplace health and wellbeing, and how, when implemented strategically, it should positively impact both individual and organisational health outcomes. Contact Louise at SkyRocket Wellness Ltd for a no obligation chat about how we could help your organisation’s wellbeing take off. Louise is also a trainer and facilitator for companies who operate their own internal wellbeing programmes, and require external support. Companies that Louise is a trainer for include Johnson & Johnson and GlaxoSmithKline. If your company is looking for additional support to augment your current coaching/ training team then please do drop Louise a line.